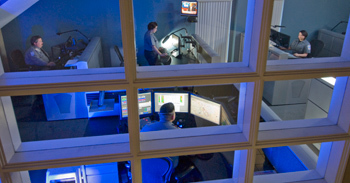 The nucleus of MetroAtlanta Ambulance operations is the MAAS Communication Center. All MAAS resources are deployed, dispatched, tracked and monitored by a team of certified Emergency Medical Dispatchers with hundreds of hours of training. Our EMD Dispatchers utilize state-of-the-art technology to schedule transfers, deploy resources and ensure a quick and safe response to all requests for service. A call from any of four 9-1-1 Public Safety Answering Centers in Cobb and Quitman County requiring an ambulance is quickly transferred to the MAAS Communication Center, where EMD-Certified Dispatchers quickly determine and dispatch the closest ambulance. The 9-1-1 center dispatches local Police and Fire Rescue to the scene to provide safety, medical first response and extrication. Non-emergent requests for medical transfers are received directly by phone, fax or internet into the MAAS Communication Center where an EMD-Certified Dispatcher schedules the patient for transport. 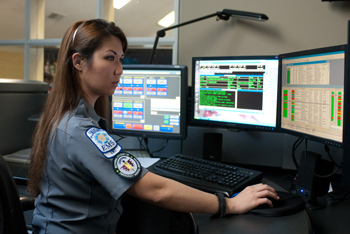 MetroAtlanta Ambulance utilizes a Computer-Aided Dispatch System. The Windows™-based system is designed specifically for the Emergency Services Industry and allows our Dispatchers to efficiently manage our available resources throughout the system. The CAD also collects and stores a variety of valuable statistical data that is evaluated daily by the operations management team. Computer laptops and on*board mobile data terminals in each vehicle complete a totally paperless system and allow wireless links of information between our dispatch center, our vehicles, our monitoring equipment, our billing center and the destination hospitals. It is a fully-integrated data management system that gathers and centralizes the information and links the entire pre-hospital chain of events into a single system offering the most efficient way to effectively manage our business and clinical operations. The system in place reduces duplication of processes and simplifies data sharing, while increasing efficiency of our resources, data accuracy and data security. Our System Status Managers and our operations management team continuously analyze CAD data and use it to improve our operational performance. MAAS utilizes a fluid deployment plan to strategically position ambulances throughout the communities we serve. By analyzing CAD data we can adjust our deployment of vehicles based on historical call demand. With reasonable accuracy we can predict where our next call is likely to occur and move our resources into the area in anticipation of the demand. Technology is only as good as those that use it and our System Status Managers and EMT/EMD Certified Dispatchers all receive a comprehensive orientation, on-going training and quality performance feedback to ensure they maintain the skills required to efficiently run the state’s largest private ambulance company.